This recording includes a demonstration of Aerodynamic Flutter, a static aeroelastic analysis, and the benefits of Aeroelastic tailoring. Advanced Aeroelastics for Full Aircraft. This webinar demonstrates Static Aeroelastic Trim Analysis and Flutter Analysis. 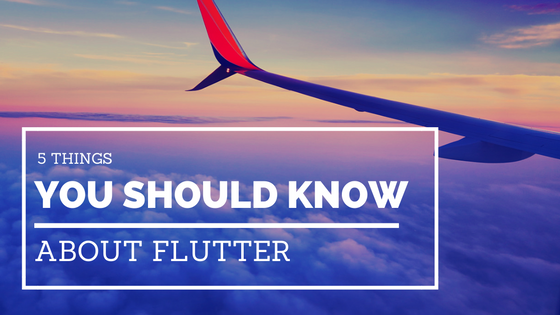 Flutter, and aeroelasticity in general, is a topic that is often misunderstood or incorrectly applied due to its inherent complexity. 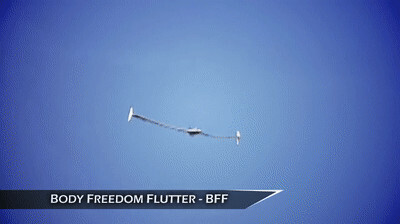 To start, let’s first consider what flutter is; an instability due to an interaction between aerodynamic, inertial, and elastic forces. The additional piece we then require when conducting an aeroelastic analysis is the influence from the unsteady aerodynamics present in the problem. These are generated in NASTRAN by default using the Doublet-Lattice Method (DLM), which is the unsteady corollary to the Vortex-Lattice Method (VLM). 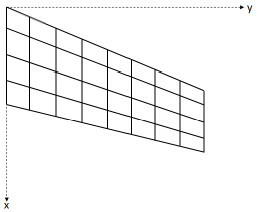 When using this approach, a 2D planform surface is generated and discretized as seen below, and can be used to generate the Aerodynamic Influence Coefficients (AIC’s). With these three distinct forces modeled, the flutter problem is often solved iteratively as an eigenvalue problem at all prescribed free-stream air speeds. 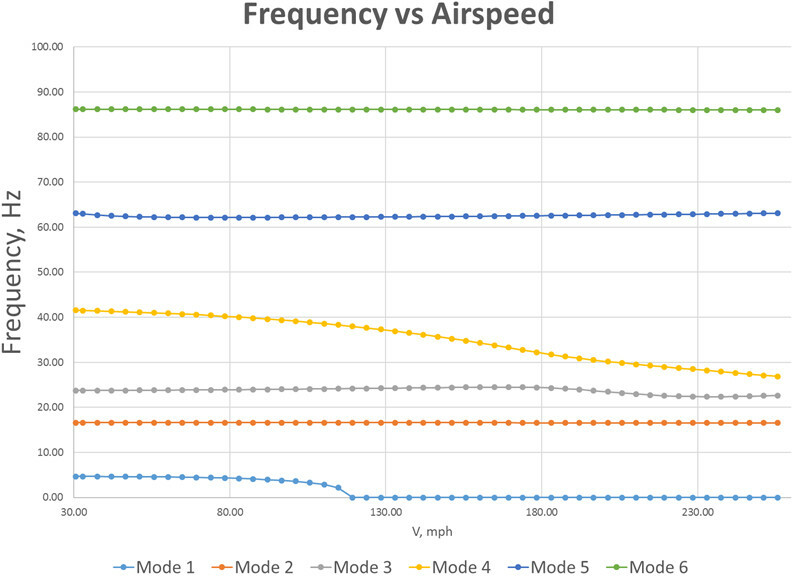 The results include the damping and associated frequencies of each mode shape at each airspeed. When the damping of one of these modes becomes positive, the first flutter speed has been found. 1.What are Splines and how do they work? When generating the AIC’s for a particular model, there is a slight problem that must be resolved. 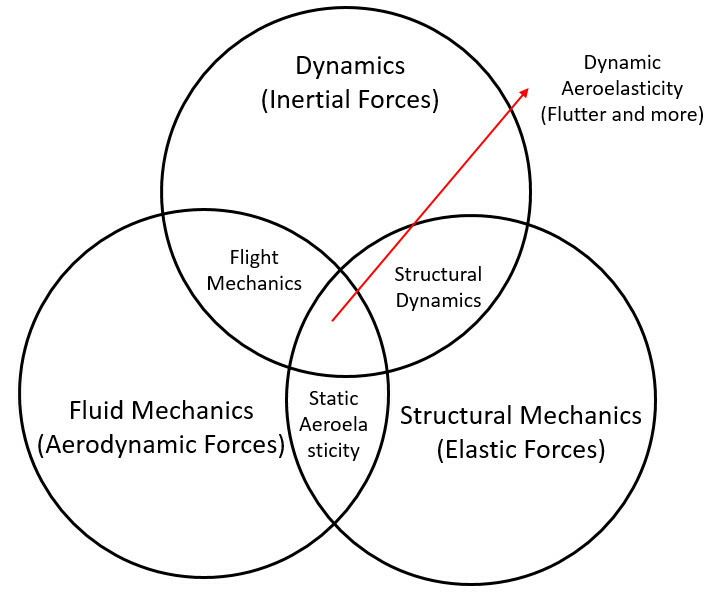 The structural model degrees of freedom (DOF) and the aerodynamic DOF are not the same. 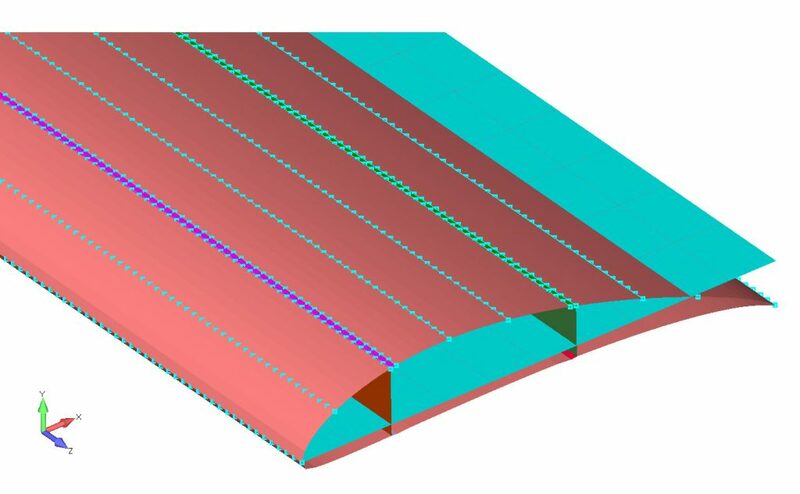 The default spline (surface) used in NASTRAN is the infinite plate spline in which the differential equation of an infinite plate under a point load is solved at all of the structural DOF and then the N linear solutions are superimposed on one another. What this means is that when constructing splines to connect the aerodynamic and structural DOF, reducing regions connected by splines can drastically reduce the computational time required. For example, take a straight rectangular wing with no control surfaces. 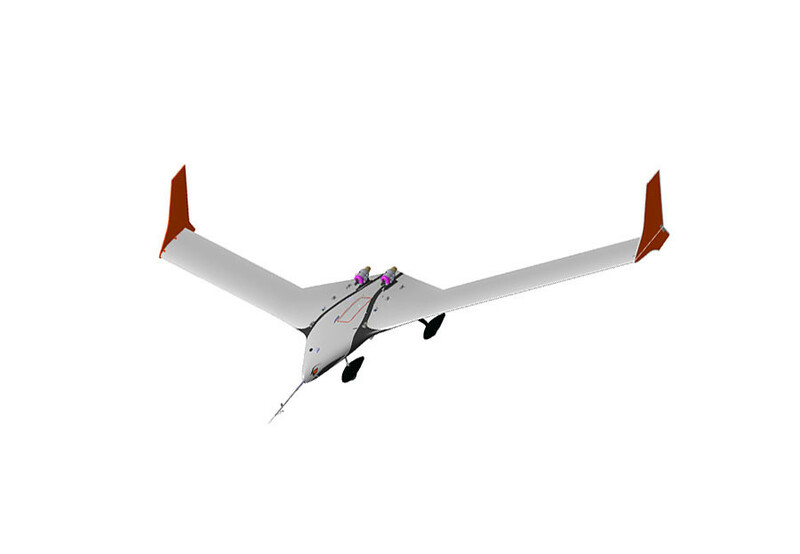 In terms of accuracy, there is very little difference between using 1 spline to connect the aerodynamic and structural DOF, and dividing the wing into two regions (such as an outer wing and an inner wing section) and using two splines. Splitting it up into two regions and using two splines will drastically reduce the computational time required to generate the splines, and by proxy, the run of the aeroelastic analysis in general. 2. You can detect Divergence in a flutter analysis! When conducting an aeroelastic analysis, it is actually possible to also detect the divergence speed as well. 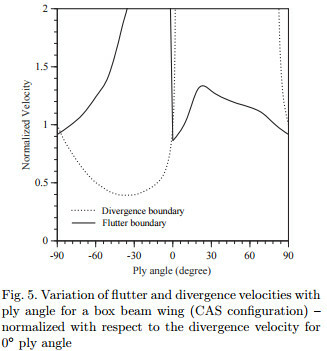 This might seem strange as divergence is a static aeroelastic instability and flutter analysis in inherently a dynamic stability analysis. When the AIC’s are generated using the DLM, the quasi-steady AIC terms (when the reduced frequency k=0) are actually generated using VLM. When conducting a divergence analysis, all that is needed is information about the elastic forces, and the quasi-steady aerodynamic forces. Since this information is already included in the matrices required to run a classical flutter analysis, it stands to reason that we should be able to detect divergence as well. This explanation is hand waving at best from an academic perspective, but sufficient for the user interested in the application of flutter analysis. In order to detect divergence, we must look at the vibration frequency of the modes. Notice in the figure below that mode 1 frequency goes to zero at some point. With the behavior of this mode becoming steady, you would then have to go to the damping plot to observe when the mode 1 damping became positive, signaling divergence. 3. What are the Mach Number and Reduced Frequency and why do they matter? Two very important numbers that appear repeatedly in flutter analysis are the Mach number and reduced frequency. When implementing a flutter analysis, these are actually the only two numbers required to generate your AIC’s once the aerodynamic model has been generated. Many are familiar with the Mach number as the free-stream air speed over the speed of sound. As the Mach number increases, the aerodynamic forces are also scaled up. This in turn can greatly affect the results of a flutter analysis in the compressible subsonic flight regime. where ω is the circular frequency, b is the half chord, and U is the free-stream velocity. The reduced frequency is really an indication of how unsteady the behavior of the system is. As the reduced frequency approaches 0, the behavior of that corresponding mode approaches steady behavior (such as divergence). As one might expect as the reduced frequency grows larger, the behavior of a mode is more unsteady. As a rule of thumb, a reduced frequency larger than 1 corresponds to highly unstable behavior. In addition, as the reduced frequency increases indicating more unsteady behavior, the lift is reduced and the phase lag between the lift and the dynamic motion of the structure also increases. 4. Modeling Body Freedom Flutter is Easy! When conducting flutter analysis on a wing, it is common to simply constrain the root of the wing to be fixed. When conducting a flutter analysis on a full aircraft however, it is very important to consider how the dynamics of the rigid body motion can also couple with the structural and aerodynamics of the model. What this means is that you can end up with a lower flutter speed than otherwise predicted if the aircraft were fixed in place. When using NASTRAN’s solution 145, body freedom flutter can be incorporated by turning on inertial relief (INREL=-1) and applying a kinematic support (SUPORT) card. 5. What can you achieve with Aeroelastic Tailoring? One of the benefits of using composite materials in an aircraft’s design is the possibility to aeroelastically tailor the loads and behavior of the aircraft. This can actually be done on traditional metallic aircraft structures such as by moving the shear center, however since stiffness of metals is uniform tailoring metallic aircraft structures is more difficult. 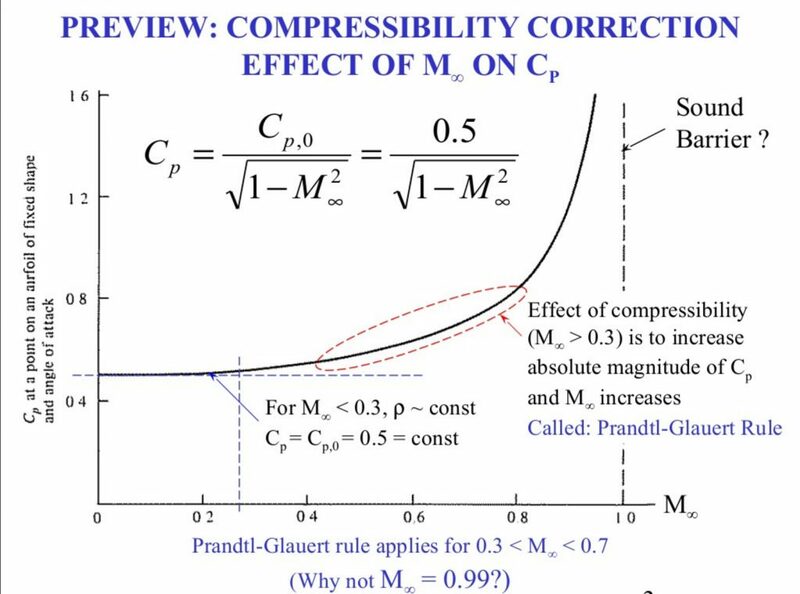 When using composites, the stiffness of a structure can be manipulated by simply changing the ply angles within the structure, rather than changing the physical geometry. I’d love to get your feedback. Do you have any questions or comments or anything I addressed? Leave me a comment below. 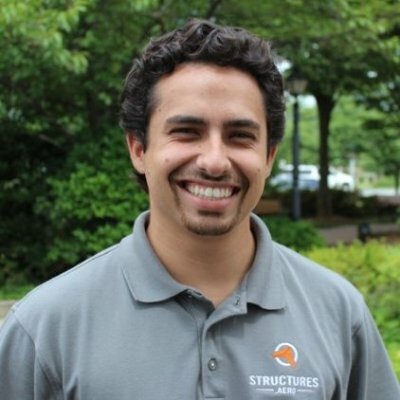 Structural Design and Analysis, Inc.